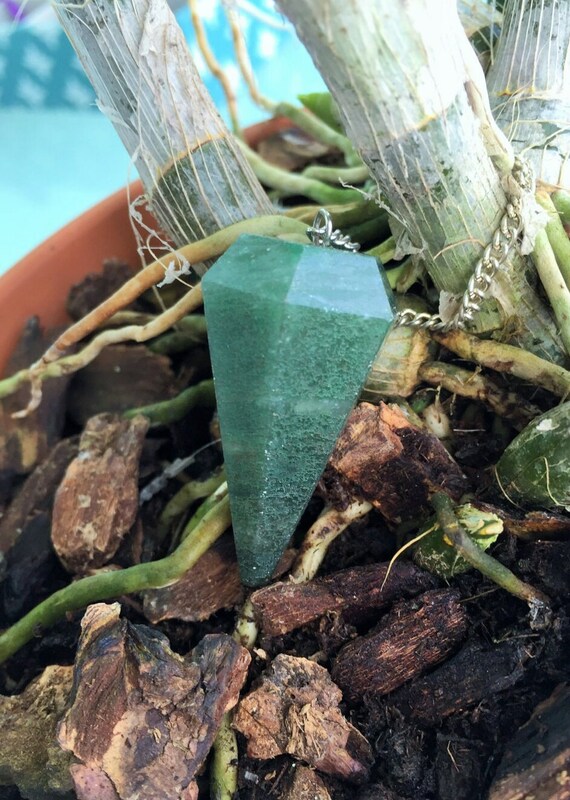 Green Aventurine promotes feelings of well-being, lifts spirits and allows you to see a different perspective that otherwise could cause anger or irritation. It balances the male-female energy and regenerates the heart. It protects & nurtures the heart bringing peace and stability. 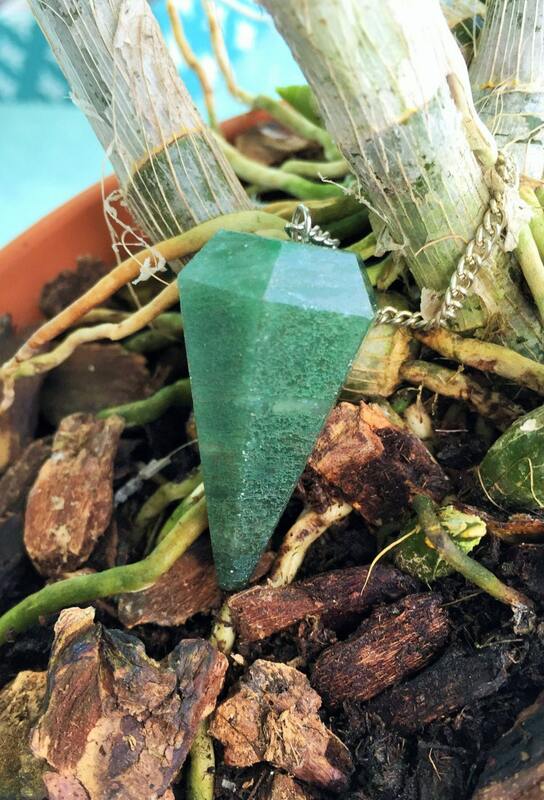 It is a stone of good fortune bringing abundance and luck. Listing includes on similar pendulum as seen in pictures.